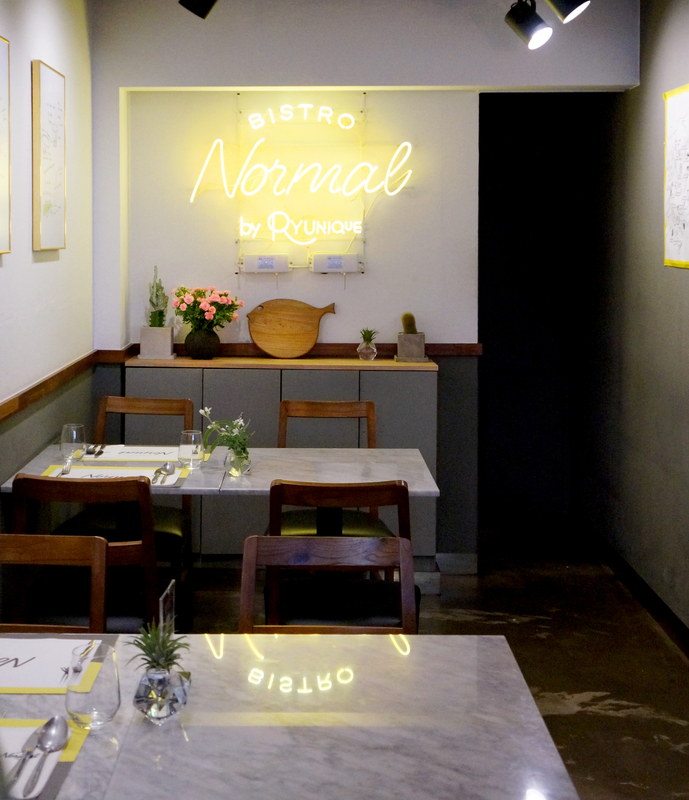 On our recent trip to Seoul, we had the pleasure of visiting Normal by Ryunique, a lovely little contemporary fine dining bistro tucked away in Sinsa (in Gangnam District). 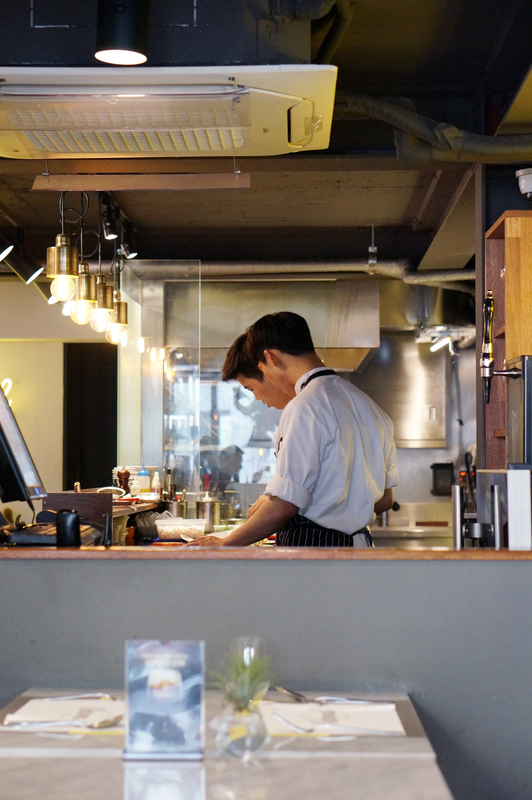 Normal is the sister restaurant of Ryunique, both of which are owned by Chef Ryu. Upon entering the restaurant, we were greeted by extremely friendly staff who they explained to us the 10 course meal. 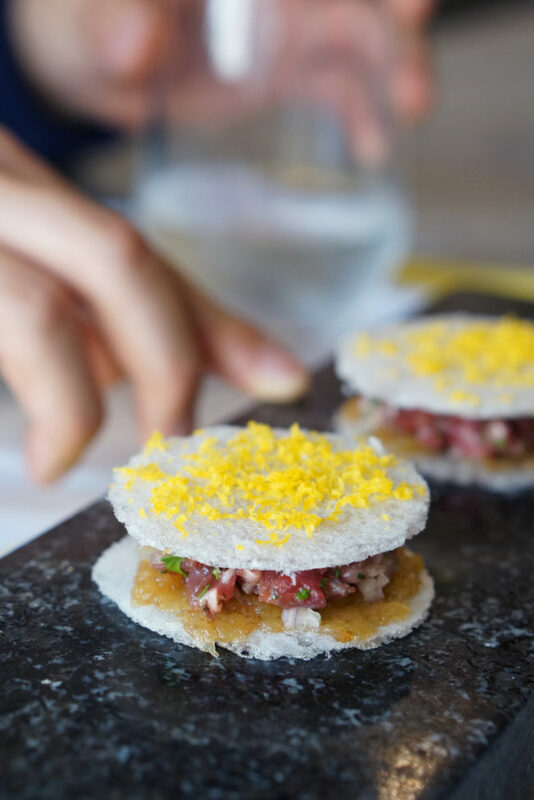 On a whole, the food was outstanding – so much precision and care was clearly put into each dish (which you can probably tell by the presentation in the images below). Each individual dish contained so many new flavours and new ways of using food that I had never experienced before. 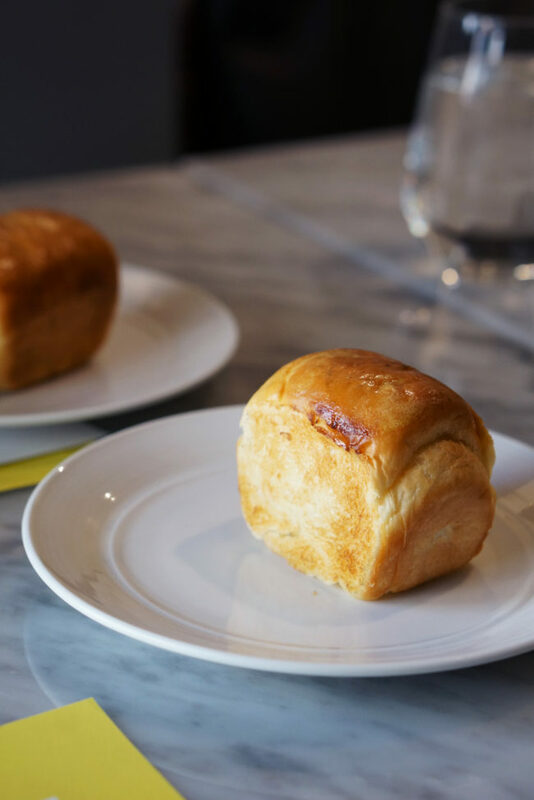 I’ve broken down each component of the meal below to give you an idea of what you can expect if you visit there (which I highly recommend doing)! 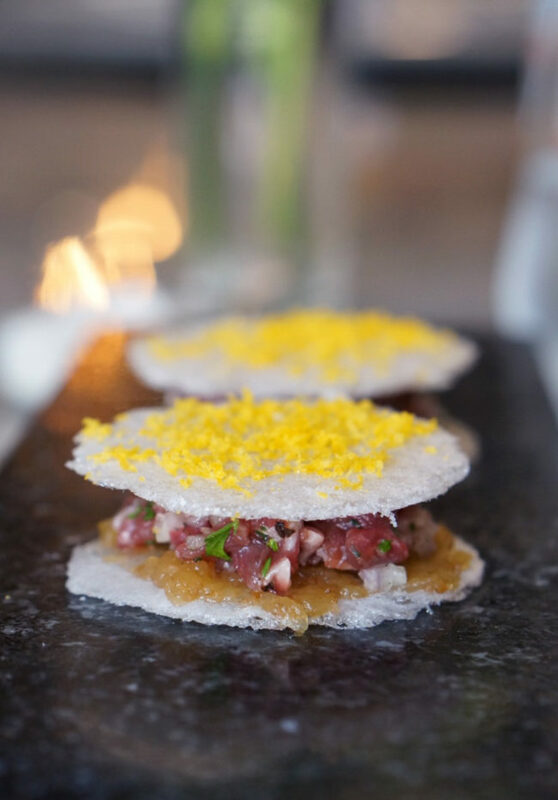 BEEF TARTARE – The very first dish we got to try was the beef tartare. This was seved inside crispy tapioca crackers with apple chutney and topped with grated egg yolk. 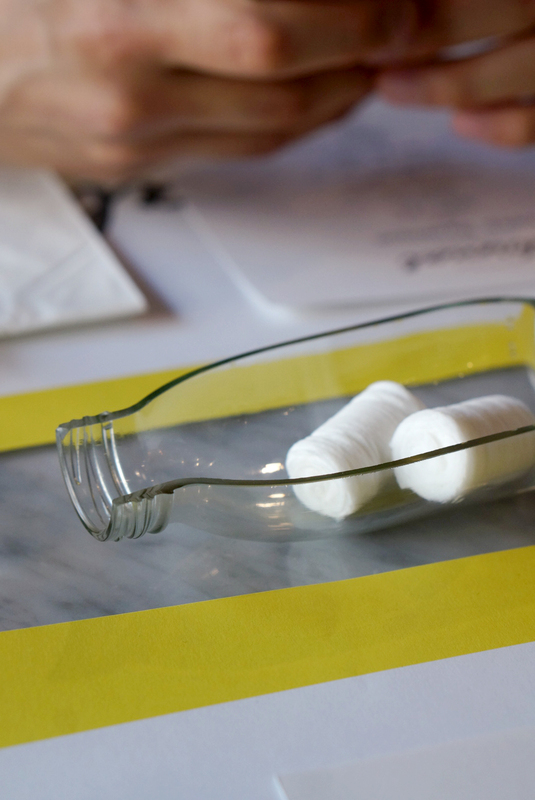 Such a perfect way to start the meal! They were light and crispy, sweet and fragrant and incredibly moreish! 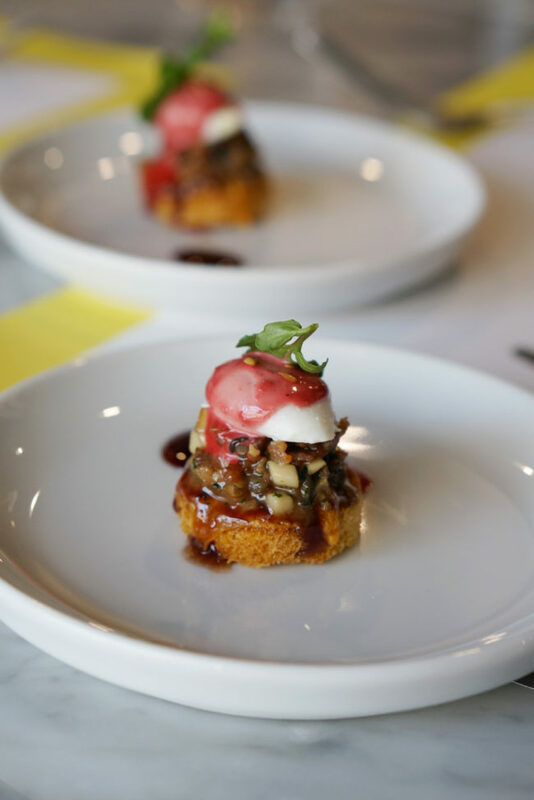 MINI EGGS BENEDICT WITH PINK AIOLI AND RED WINE REDUCTION – the beef tartare was followed by mini eggs benedict – such a cute dish and so tasty too! This was topped with a pink aioli and served alongside a red wine reduction, both of which worked very well with the other flavours. 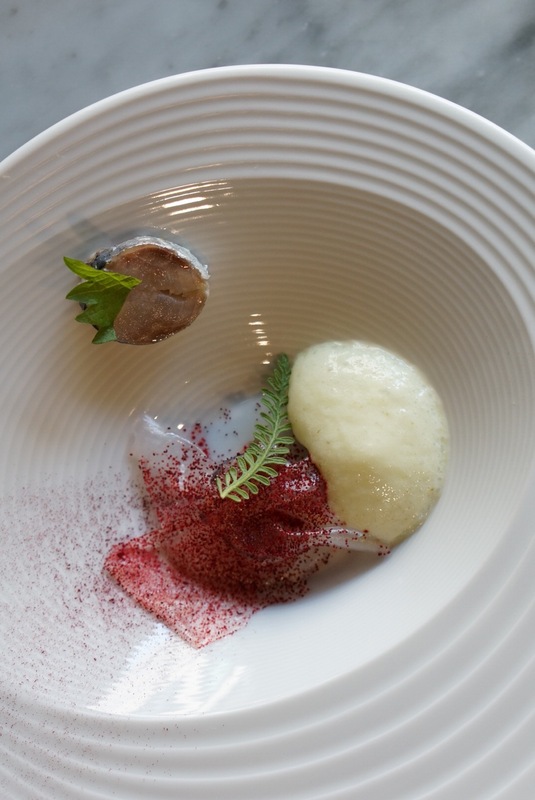 PICKLED HERRING WITH CUCUMBER FOAM – my favourite thing about this dish was the cucumber foam which was so light but incredibly flavourful and worked perfectly alongside the fish and beetroot. 4. 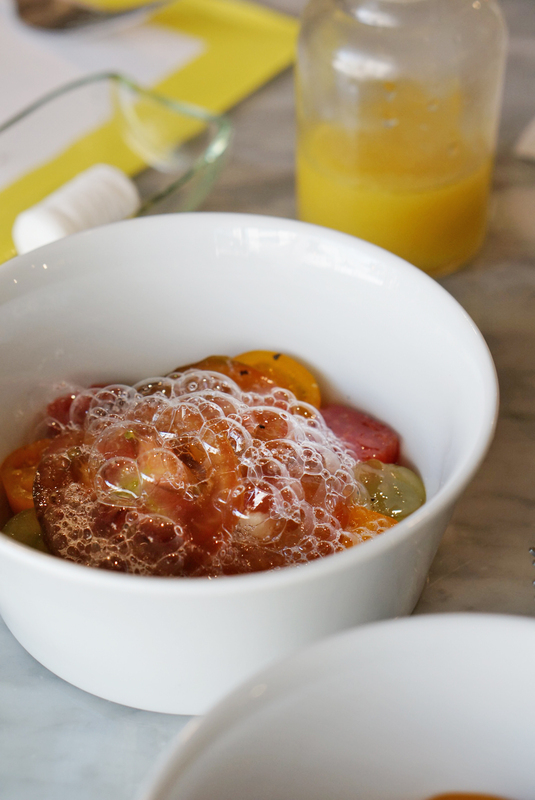 TOMATO YUZU WITH HOMEMADE CHEESE AND BUBBLE DRESSING – I was so amazed by this dish as those bubbles stayed in place, even after the mandarin dressing had been poured on top (no idea how they managed that)! The different types of fresh tomato were complimented very well with this sweet and fruity dressing and the homemade creamy ricotta cheese was a very nice touch too. 5. 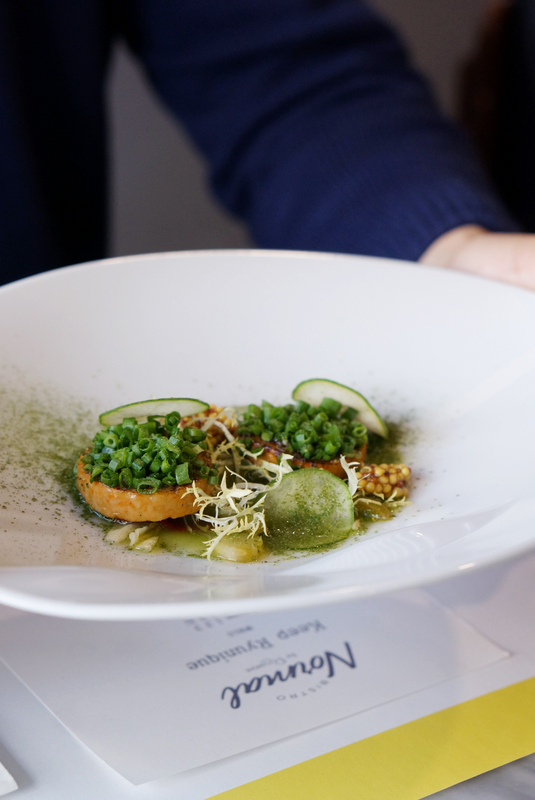 MONKFISH LIVER WITH CUCUMBER AND KALE DRESSING – I must start by saying that I’m not a huge fan of any sort of liver but I was pleasantly surprised by this dish! 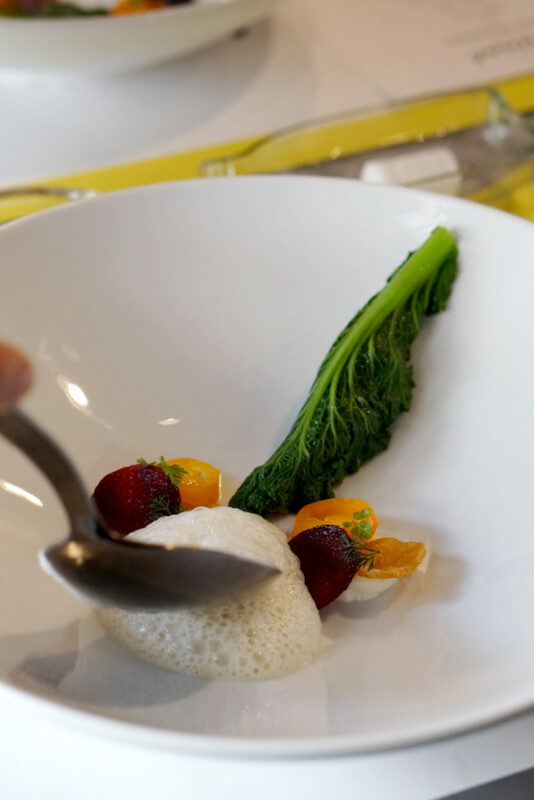 It was served with a delicious kale dressing which was poured on top by Chef Ryu when he brought it to the table. The dish was quite light and the cucumber and kale flavours worked well with the monkfish. 6. 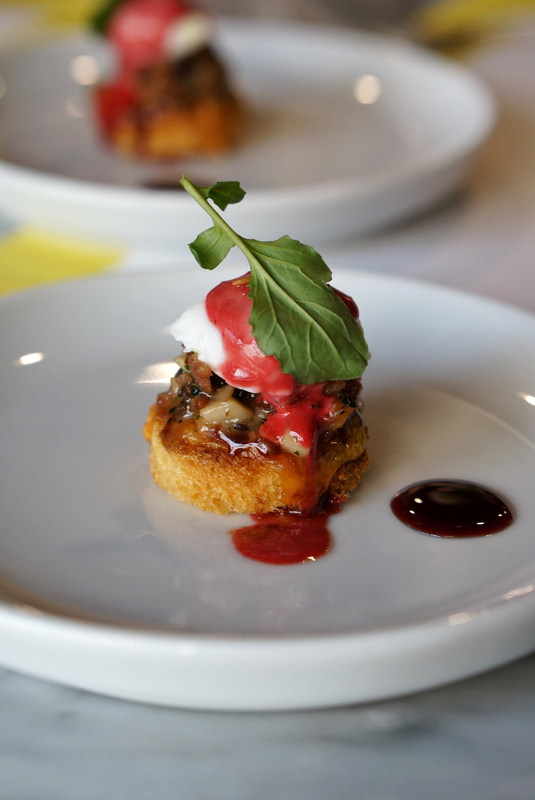 JERUSALEM ARTICHOKE WITH DUCK LEG AND MINI LOAF – this dish arrived at our table as a plate containing duck leg mince wrapped in greens with crispy beetroot and carrot discs. 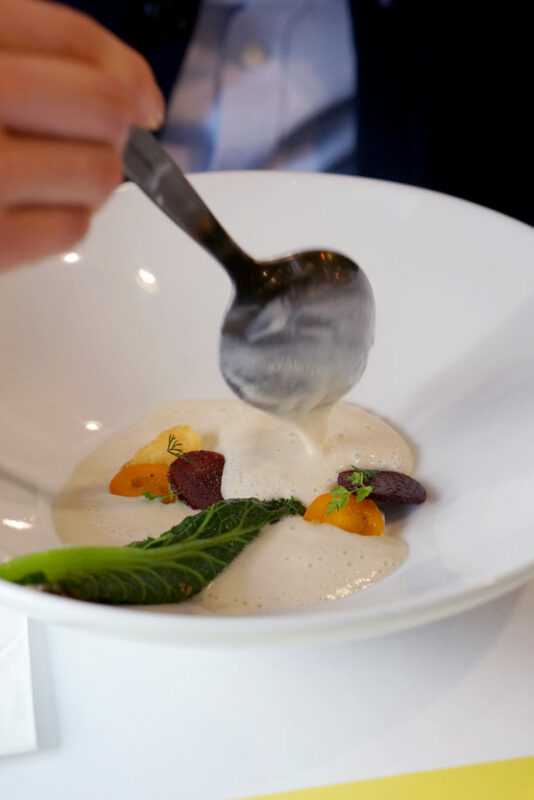 One of the chefs then poured the artichoke broth on top. This broth was absolutely delicious – it was so silky and smooth and had a mild but delicious artichoke flavour. 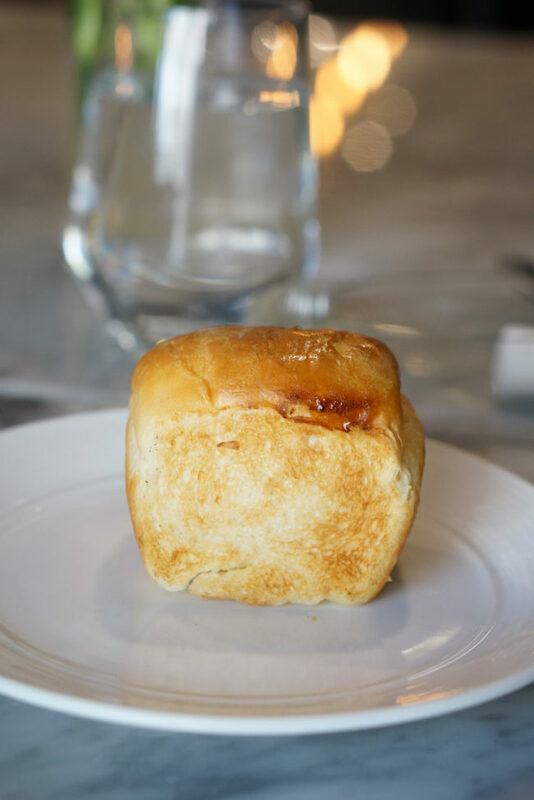 Also served alongside this dish was the cutest mini loaves of bread which had a delicious smoky flavour. 7. 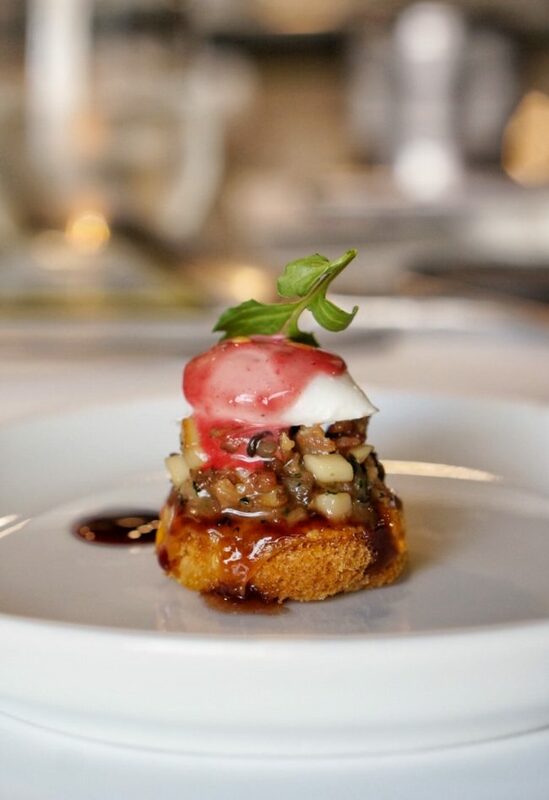 PORK BELLY WITH APPLE AND PRAWNS – this dish played on the great combination of pork and apple but created a whole new twist. 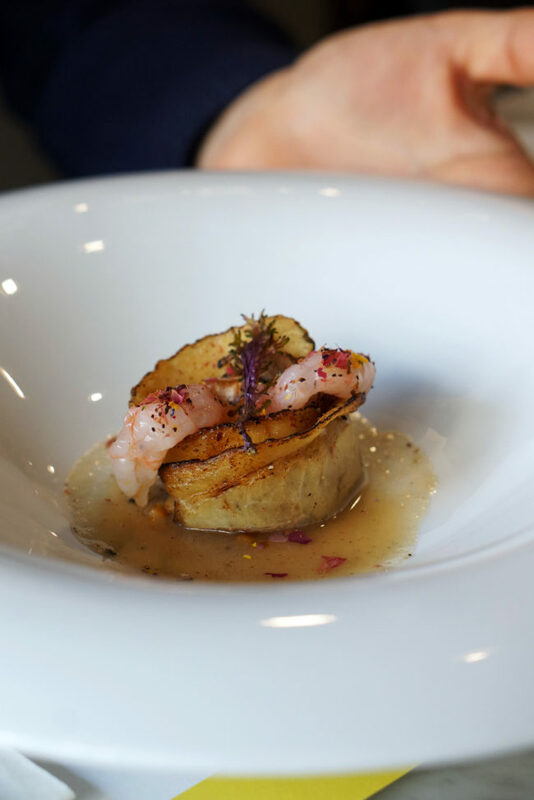 The apple flavours were surrounded by cured pork and topped with fresh prawns. The lovely apple sauce / dressing was light and fragrant and brought everything on the plate together. 8. 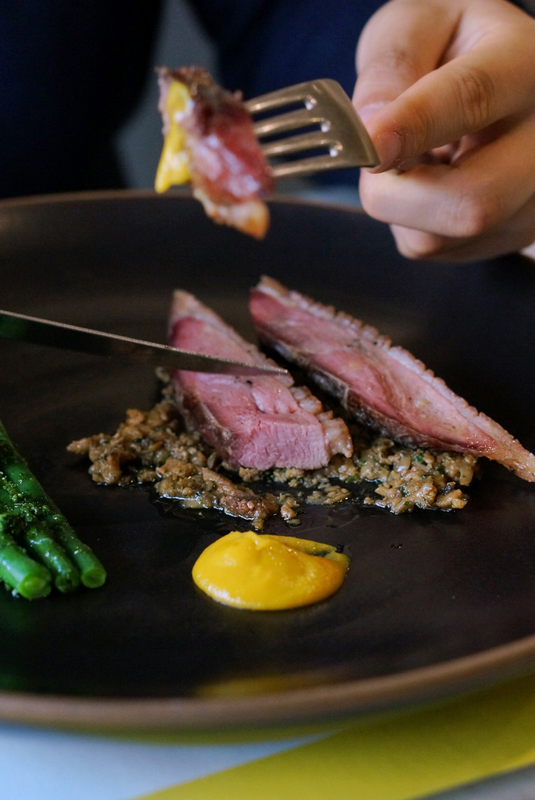 MAIN COURSE – for the main course, we ordered one duck dish and one strip loin. The duck was cooked to perfection and, as with the rest of the courses, was impeccably presented. Similarly, the beef was perfectly cooked and served with a delicious creamy sauce. 9. 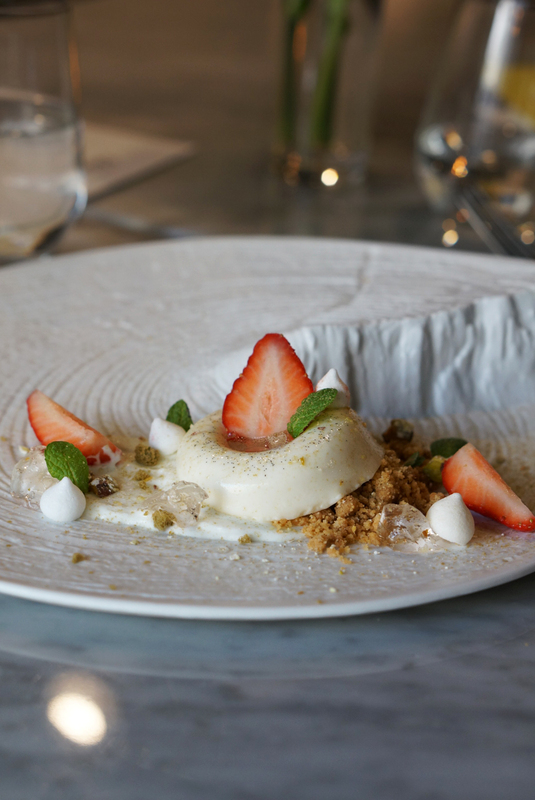 YOGHURT VANILLA MOUSSE WITH CRUMBLE, ROSEWATER JELLY, MINI MERINGUES AND FRESH STRAWBERRIES – this was my favourite dish out of the 10 courses; all of the components worked so well together and the different textures and flavours made it almost fun to eat! 10. 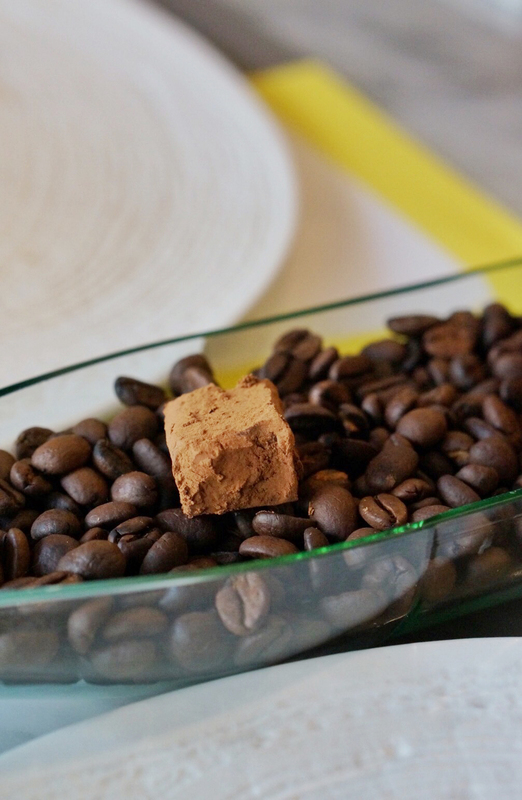 CHOCOLATE AND COFFEE – the perfect end to any meal. We opted for iced lattes as it is beginning to get very hot in Seoul! The chocolate truffles were a lovely touch – we just managed to squeeze them in after eating the other 9 courses! 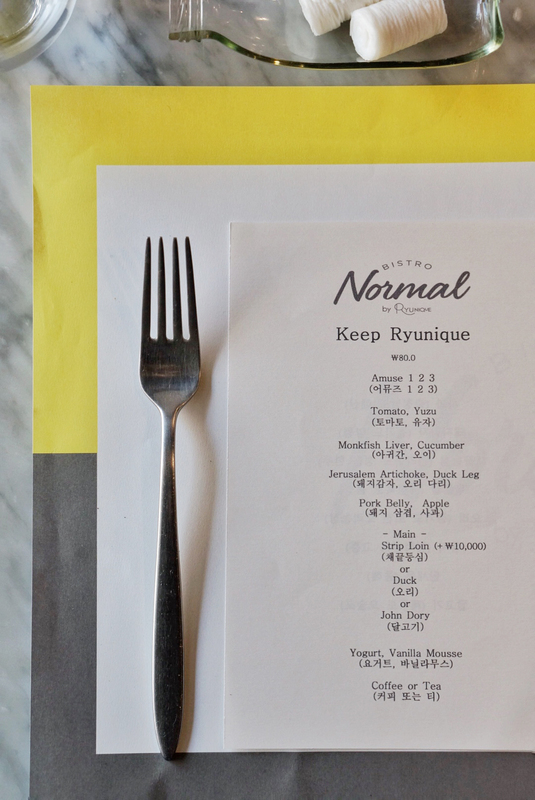 One again, I highly recommend a visit to Normal by Ryunique if you ever visit Seoul – it gets 5 stars from us. It is located at 520-8, Sinsa-dong, Gangnam-gu, Seoul – you can find more details on their Facebook page. Let us know if you try it!